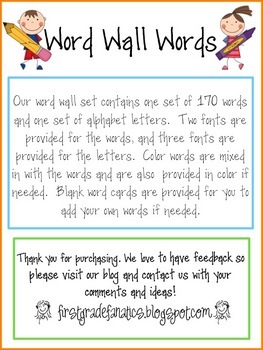 This word wall set contains one set of 170 words and one set of alphabet letters. 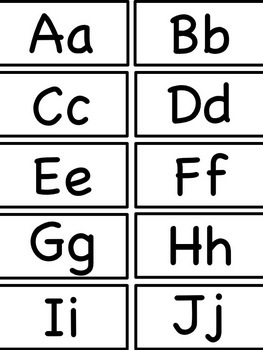 Two fonts are provided for the words, and three fonts are provided for the letters. 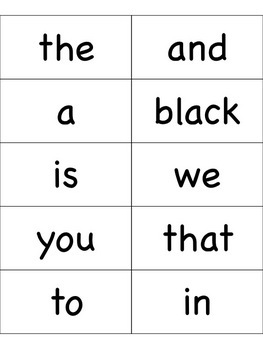 Color words are mixed in with the words and are also provided in color if needed. 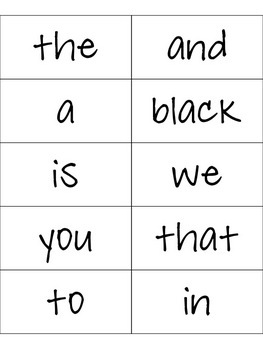 Blank word cards are provided for you to add your own words if needed. The downloadable preview contains the fonts we used and lists containing the words we used.